In his sermon at yesterday's royal wedding the Most Reverend Michael Curry, presiding bishop of the Episcopal Church, quoted the French philosopher and Jesuit priest Pierre Teilhard de Chardin (1881-1955). Following his conversion to Roman Catholicism, Edmund Rubbra (1901-1986) was heavily influenced by Teilhard; in his definitive biography of the composer Leo Black describes how "Once converted to Roman Catholicism, Rubbra studied and accepted Teilhard's optimistic and positive reconciliation of biblical narrative with evolutionary theory". This adulation was reflected in Rubbra's Eighth Symphony which is subtitled 'Hommage à Teilhard de Chardin'. 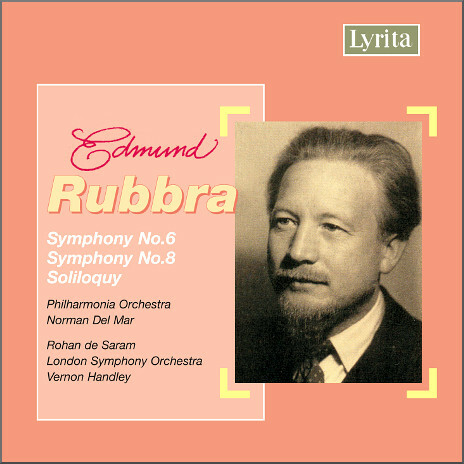 Of course Rubbra's magnificent and ludicrously overlooked symphony did not feature in the wedding of Prince Harry and Meghan Markle. But it could have done: at 24 minutes it is just 10 minutes longer than Bishop Curry's sermon. Rubbra also composed a choral 'Ode to the Queen' commissioned by the BBC for the coronation of Queen Elizabeth II. However I am not upset that this was omitted from the royal wedding service as it is one of the composer's least memorable works. Graeme, thanks for that and I am delighted that you and other readers share my passion for Rubbra and other marginalised composers. I am now in the post-ranking phase. Over-hyping and all forms of music hierarchies are unhelpful as they polarise views. Rubbra is a composer, just as Beethoven and Max Richter are composers. We respond to them in different ways, and there is no right way to respond - despite the tiresome mediation of BBC Radio 3 concert presenters. All I can do is share my enthusiasms. As Libby Purves told us, if one person is introduced to the joys of Rubbra's symphonies or the other music lurking down my overgrown paths, then my job is done.